REPORTING OFFICE: MARA (2), COAST (7), MBEYA (8), KINONDONI SOUTH (10), TANGA (1), SHINYANGA (4), TEMEKE (6), SINGIDA (1), IRINGA (5), TABORA (3), RUVUMA (3), KILIMANJARO (3) & MOROGORO (3). Responsible for Construction and Maintenance works in the Region/District. ensure customers’ safety to their lives and properties from being endangered by power supplied. ▪ Trade Test Grade III, II or I in Electrical installation. ▪ Form IV or VI Secondary Education. ▪ A driving license class C, C1, C2 and E will be an added advantage. REPORTING OFFICE: RUVUMA (1) & KIDATU HYDRO POWER PLANT (1). Maintenance of plant machinery to ensure smooth running of all plant machinery and equipment at the station by adhering to Plant Preventive maintenance schedule. REPORTING OFFICE: NGARA POWER STATION – KAGERA (3) & KIBONDO POWER STATION – KIGOMA (1). Responsible for carrying out all general activities of power house/workshop floor, offices, changing rooms, cleanliness and Housekeeping at Power station. c) Clean Generator and Operation floors. d) Clean entrance building machinery area. e) Clean all areas inside the power house. f) Manage cleaning materials and keep them in order. Ensure timber works are in Company buildings are done as per specifications and standards. c) Under take required repairs and maintenance works. i) Operate and maintain carpentry tools and equipment’s. REPORTING OFFICE: MARA (1), TANGA (2), MBEYA (2), MWANZA (1), DODOMA, KONDOA (1), KINONDONI SOUTH (1), TEMEKE (1), KINONDONI NORTH (2), KILIMANJARO (2), KIDATU HYDRO PLANT (1) & COAST (1). of financial information for decision making. ▪ Ordinary Diploma or its equivalent in Accountancy, Finance from a recognized learning institution. REPORTING OFFICE: RUVUMA (1), KAGERA (1), MOROGORO (1), UBUNGO II GAS PLANT (1), KINONDONI NORTH (1), MBEYA (1) & COAST (1). quantity correspond to given specification and storing the same in a safe place. management and control to facilitate business decisions. company achieve value of money. f) To assist in conducting periodic stock checking and stock reconciliation. ▪ Must be registered by PSPTB or any other relevant professional body. REPORTING OFFICE: HEAD OFFICE (7), KIHANSI HYDRO PLANT (1) KINONDONI SOUTH (1), SHINYANGA (1), MARA (2), TEMEKE (2), TABORA (2), UBUNGO II GAS PLANT (1) & COAST (2). incident reports, accident reports, vehicle condition reports and other records for proper management of vehicle and management decision. c) To operate assigned vehicle in a safe and courteous manner observing all traffic regulations to avoid accidents and loss to the company. d) To maintain high standard of service to both internal and external Customers. condition all the time to support business operations in the region. ▪ Driving license Class C, C1, C2 & E.
▪ Must be computer literate. ▪ Qualified and interested candidate may apply by sending a detailed application letter clearly stating why you should be considered for the position and how you will add value to the company. ▪ All Applications must be accompanied with a detailed curriculum vitae, copies of relevant certificates, testimonials and contacts of three referees. ▪ Application letters should clearly state the candidate’s name, secondary examination index number and year of examination appearing in the attached academic certificates. ▪ ALL APPLICATIONS MUST BE CHANNELED THROUGH CURRENT SUPERVISOR (HEAD OF WORK STATION). ▪ Women are highly encouraged to apply. ▪ Applicants must include reliable phone numbers for effective communication. ▪ All Applicants who will not be invited for an interview should consider themselves unsuccessful. ▪ Please note that phone calls or any kind of soliciting for these positions by applicants or relatives will automatically lead to disqualification. ▪ NEVER PAY TO HAVE YOUR APPLICATION CONSIDERED. ANY CALL REQUESTING PAYMENT FOR ANY REASON IS A SCAM. 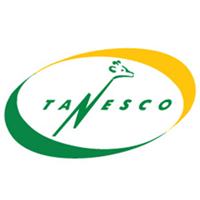 IF YOU ARE REQUESTED TO MAKE PAYMENT FOR ANY REASON PLEASE CONTACT OUR COMMUNICATION OFFICE THROUGH 022-2451130/38, info@tanesco.co.tz ORcommunications.manager@tanesco.co.tz. TEMEKE, KINONDONI NORTH, KINONDONI SOUTH AND COAST REGIONS. MOROGORO, DODOMA AND SINGIDA REGIONS. MWANZA, MARA, KAGERA REGIONS & NGARA POWER STATION – KAGERA.